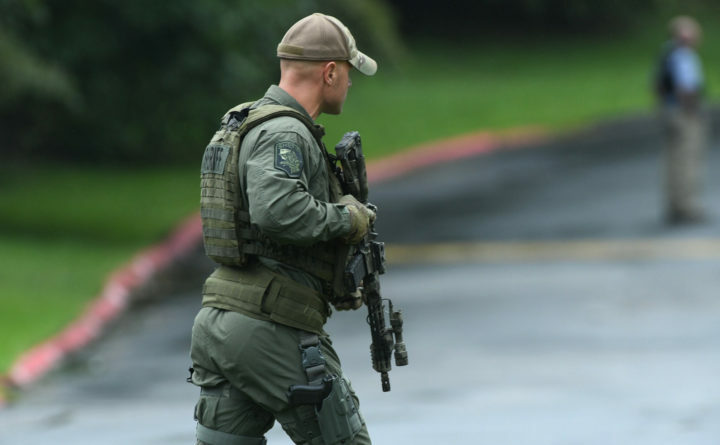 Authorities respond to a shooting in Harford County, Md., Thursday, Sept. 20, 2018. Authorities say multiple people have been shot in northeast Maryland in what the FBI is describing as an "active shooter situation." ABERDEEN, Maryland — Three people were killed Thursday morning in a shooting at a Rite Aid distribution center in northeast Maryland, officials said.